Add credit to your account by clicking here. Step 3. Click on “Top Up”. Step 4. Enter the 13 digit voucher code, then click on "Refill". Step 5. 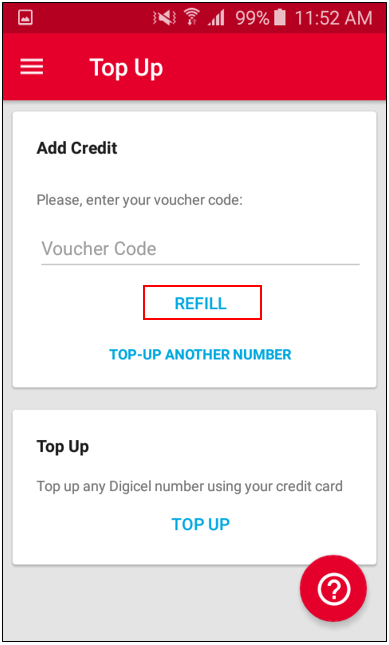 Confirm the top up; click on “Continue”. 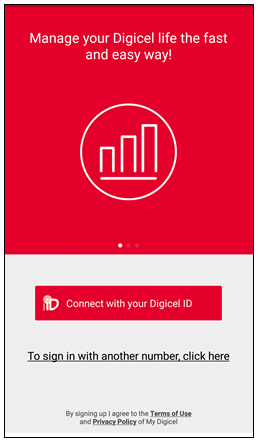 Important: Make sure to log in to the My Digicel App with the number on which you want to top up. 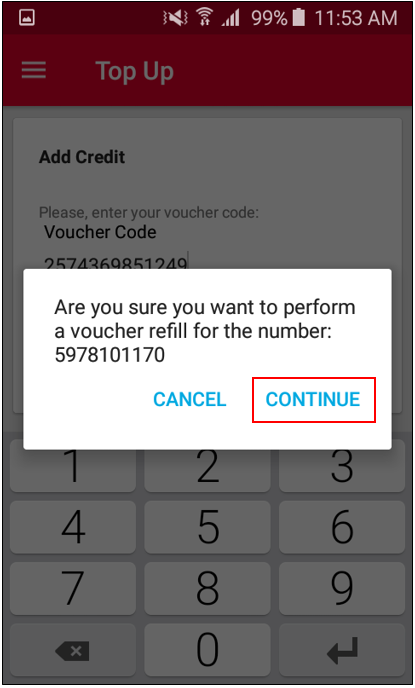 If that's not the case, it won't be possible to revert the transaction to the correct number. 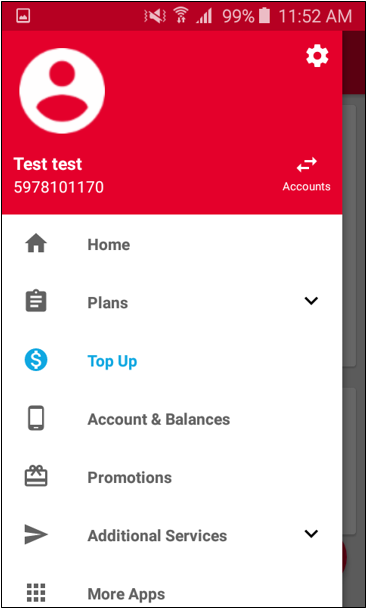 It is also possible to select the option "Top Up" from the home page. You then follow the same steps as given above.